Check out celebrity sponsored charity tournaments to get a glimpse of your favorite stars while supporting a worthy cause. Many non profit organizations hold various special events throughout the year. A charity tournament is a way to raise a large amount of money at one event. Golf outings remain one of the most popular types of charity tournaments endorsed by celebrities, but any type of event is possible. Other popular choices include tennis and poker. The type of tournament held can depend on your location, the time of year and the resources available to your organization. One of the best ways to get the most out of your charity tournament is to have a celebrity sponsor it. This can mean having the celebrity's name tied to the tournament or even having him or her show up at the event. Celebrities that sponsor events can be athletes, musicians, local or national television personalities, or other types of public figures. Many sponsoring celebrities have a personal connection to the charity and want to raise funds to support the cause. 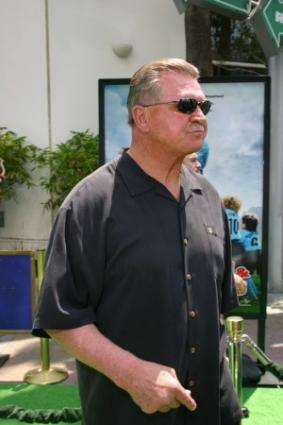 Mike Ditka Resorts Annual Celebrity Golf Outing: This event benefits The GridIron Greats as well as other charities. The GridIron Greats provides financial assistance and support to those who have retired from the NFL and are experiencing hardships such as disability or lack of funds. Held in Florida, this annual event brings football stars together to support the cause while enjoying the day with each other and members of the public. Mario Lemieux Celebrity Invitational: This event is held annually at the Nemacolin Woodlands Resort in Farmington, Pennsylvania. It benefits The Mario Lemieux Foundation, which supports cancer and neonatal research efforts. Many celebrities from hockey, golf and football show up to support the cause and take part in the event. Darryl Strawberry Celebrity Golf Classic: This Long Island event supports individuals and families affected by autism. Darryl Strawberry and other celebrity friends take part in the event while bringing publicity and support for autism awareness. Celebrity Poker Showdown: This televised tournament that brings in funds for organizations such as the United Way of Greater New Orleans, America's Second Harvest and UNICEF. It is shown on Bravo TV and held at the Palms Casino. Celebrities participating in the tournament chose what charity they wish to support. Organizations often ask celebrities to sponsor their events as a way to attract publicity and attention. Maybe you are interested in bringing in a celebrity for your organization's event but have not idea how to make the request. While obtaining celebrity sponsorship can be challenging, it is not impossible. You can send a request to the Foundation that the celebrity endorses, or seek to connect with the person through his or her agent or publicity firm. Alternately, you may want to try asking a local celebrity such a news anchor or a sports star who is from the area for assistance. Even if the celebrity does not sponsor your tournament they may wish to make a brief appearance or take part in the outing. Any level of involvement can help bring attention to the event and attract fans. Celebrities at charity events bring in money and raise awareness for worthy causes. Both local and A-list celebrities participate in charity tournaments. No matter what the cause, celebrities are a big draw for any organization lucky enough to have them sponsor an event.